The popular development engine will soon be bringing games to PS3, PS4, PS Vita and PS Mobile. Game development is hard, requiring practice, patience, and resources that many people just don't have. Tools to make it easier are always welcome, and for many smaller teams the premier tool for cost-effective game making is the Unity engine. Up until recently, Unity has generally been used to develop for PC, iOS and Android, with console development being less common, thanks in part to some restrictive practices from console makers. This changed in September 2012 when Nintendo signed a licensing agreement to make Unity compatible for Wii U development. This shift toward Unity-based console development is now expanding with the news that Sony has entered into a similar agreement to help bring Unity games to PlayStation platforms. 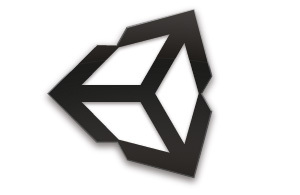 "Today, all of us at Unity Technologies are thrilled to announce a partnership with SCEA that will see Unity tools developed for PlayStation platforms," said David Helgason, CEO of Unity Technologies. "We'll be making games built on Unity deployable to PS4, PS3, PS Vita, PS Mobile, and SCE's future cloud services." While a handful of games made with Unity have previously made it onto PlayStation platforms, this new deal could increase their number exponentially. The licensing agreement itself comes on the heels of Sony's recent efforts to bring more indie games to its hardware. While this has previously led to the announcement of indie games like Hotline Miami and Lone Survivor being ported to PlayStation platforms, a Unity engine tailored toward PlayStation platforms could integrate indie developers into Sony consoles on a much larger level. Being (relatively) easy to learn, as well as faster and cheaper to use than other development methods, Unity is popular with many indie developers who would likely jump at the opportunity to have their games reach a new, paying audience. While this announcement hasn't come with any immediate word on when Unity tools for PlayStation will become available, it's hard not to get excited about the prospect of such a wide breadth of videogames finding new ways to entertain us.